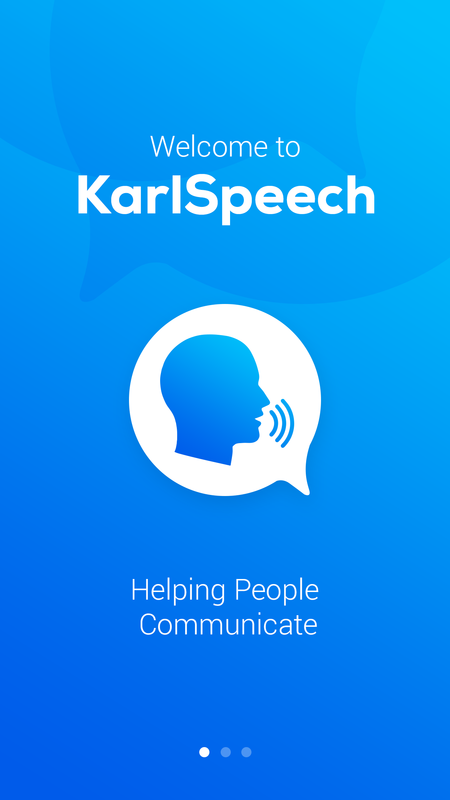 The KarlSpeech Smart Device App is an Augmentative Communications App (AAC) for people with severe Speech & Communications Difficulties. Designed specifically for Apple iPhone, iPad and iPod Touch, The App is integrated with Universal Symbols provided by SymbolStix. It all began when Karl a 24-year-old Dystonia sufferer needed something that would help him communicate with his family and friends. Karl is nonverbal, and his parents used several AAC communications apps but didn’t find a solution that suited Karl’s needs. There are many great AAC apps on the market, but Karl wanted something that was very straight forward, and he found that lots of existing App screens were cluttered and confusing. After trying lots of options Karl’s parents decided to embark on trying to get an AAC App developed that would enable their son Karl to communicate more effectively and the KarlSpeech App is the result of a lot of deliberation, testing, trialling and development. • Backup to Dropbox or to your computer using iTunes File Sharing.